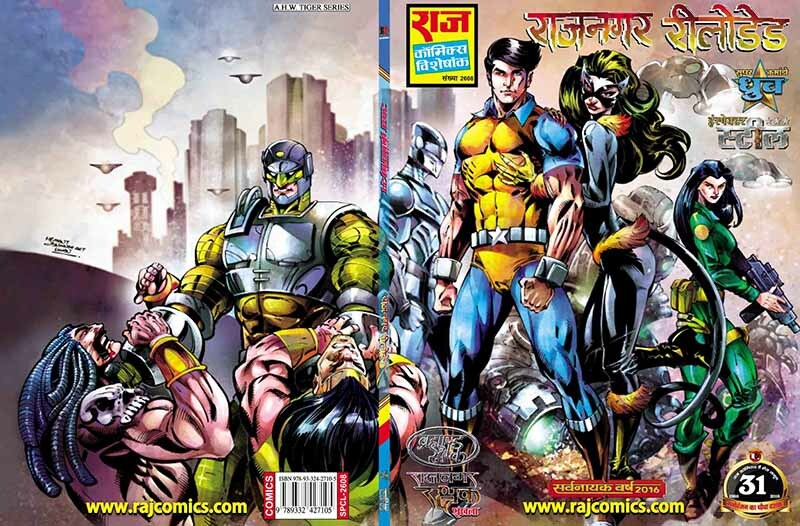 I have brought some advertisement and promo pages of Forthcoming Raj comics. 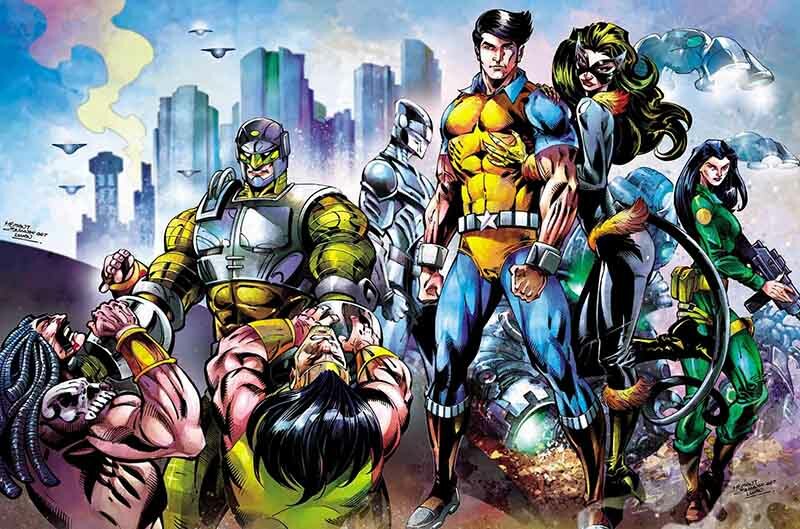 As well as their release date and other information which is announced by Raj Comics. The release date of some comics has not been given yet. 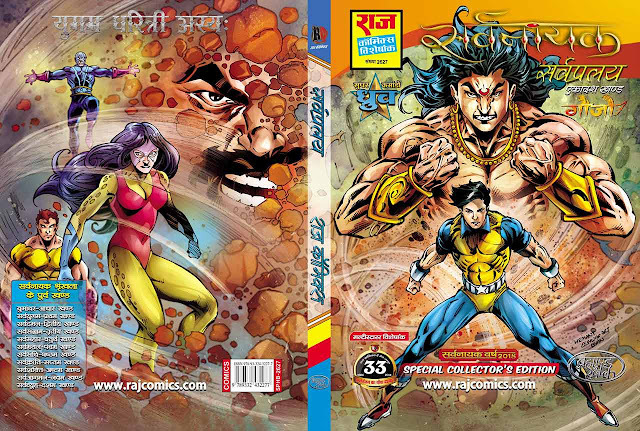 As soon as Raj Comics announced the date you will get update here. Have fun, Enjoy your childhood. Other Comics/Series whose Ad pages added here are not released yet. 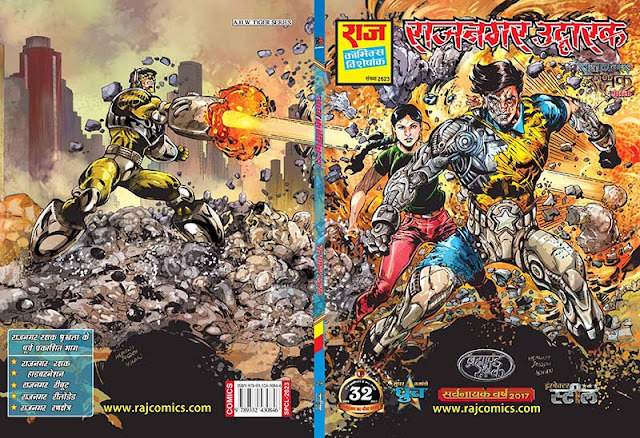 राज कॉमिक्स की पेशकश ..... "राजनगर उद्धारक"
Raj Comics is going to present ....."Rajnagar Uddhaarak"
Rajnagar Uddhaarak comics has been printing. Title Cover page by: Hemant, Ishaan. 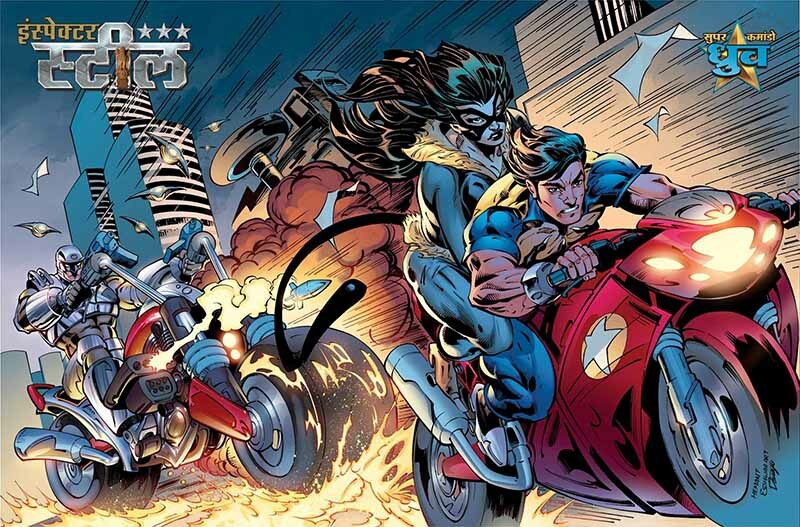 To counter her brother, Shweta has prepared the world's most dangerous weapon "Super Commando Dhruva". 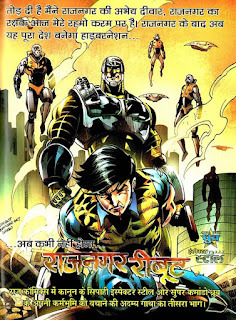 Raj Comics Presenting, "Rajnagar Rannkshetra", the fifth part of Rajnagar Rakshak Series. 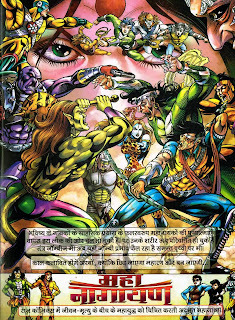 Ad Page By: Hemant Kumar, Ishwar Arts. 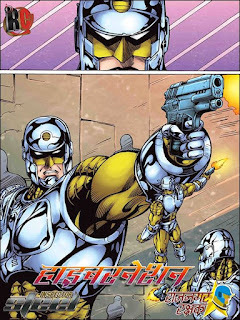 Very first look of Dhruva and Inspector Steel starer, the 5th part of Rajnagar Rakshak Series, Rajnagar Rannkshetra. Fiction and reality, these are two such powers, if a person takes them in control he could counter God. What if the difference between fantasy and reality gets lost? What if, the creation power would become the puppet of a man? How would Dhruva prevent such a power, which is a reality and is an illusion too? 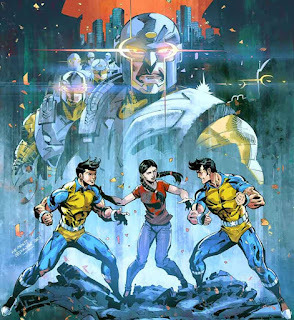 Forthcoming special comic issue of Super Commando Dhruva beyond the imaginations, 'Illusion'. क्या हो अगर कल्पना और वास्तविकता में फर्क ख़त्म हो जाए? क्या हो अगर सृजनशक्ति किसी मनुष्य के हाथ का खिलौना बन जाए? कैसे रोकेगा ध्रुव उस शक्ति को जो यथार्थ होकर भी है सिर्फ एक भ्रम? 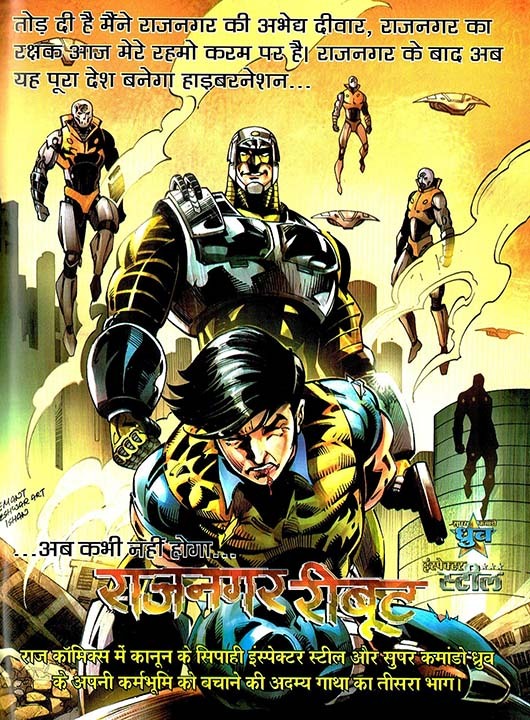 Final Title Cover of Rajnagar Reloaded, the 4th part of Rajnagar Rakshak Series. Rajnagar Reloaded has been gone for printing today on 4 May, 2016 and set to release in the set no. 2 of 2016 very soon. Cover By: Hemant Kumar, Ishwar Arts and Ishaan. When the criminal incidents have increased, then a police station has opened in Vishaalgad. And the ponytail has become the Inspector. Coming soon, "Bodiwaala Thanedaar" a laughable and the funniest comic of comedy king Bankelal. 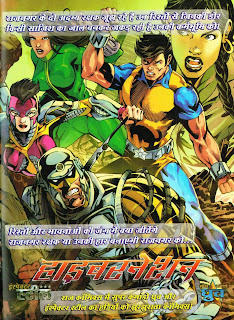 By: Sushant Panda, Shadab Siddiqui. 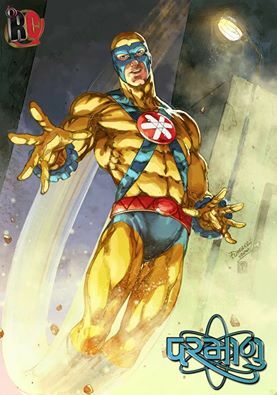 This series will be start from the comics "Punorotthan", which is going to release in set 5 of 2016. 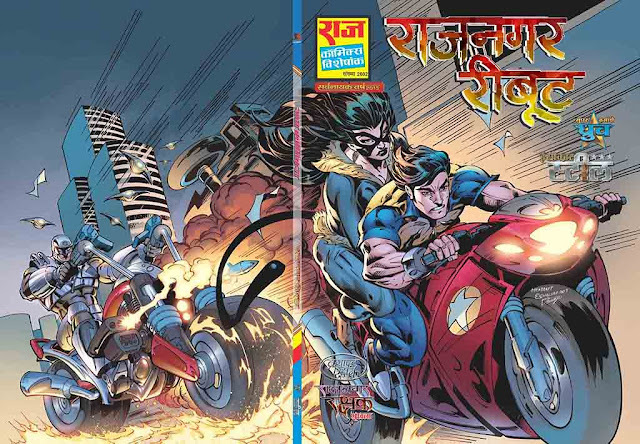 Rajnagar Reloaded, The fourth part of the Rajnagar Rakshak Series is going to be released in set no 2 of 2016. Sit tight and wait until Rajnagar reloads. 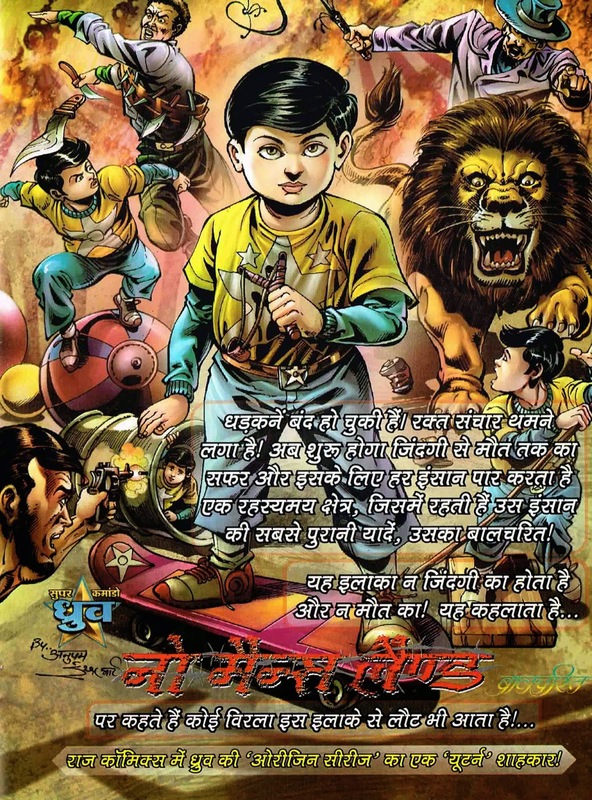 Ad Page By: Hemant Kumar, Ishwar Arts and Ishaan. 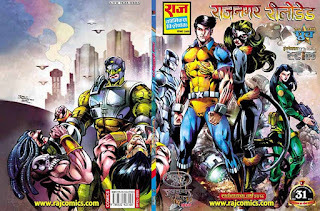 Raj Comics Presenting, Rajnagar Reloaded the fourth part of Rajnagar Rakshak Series. 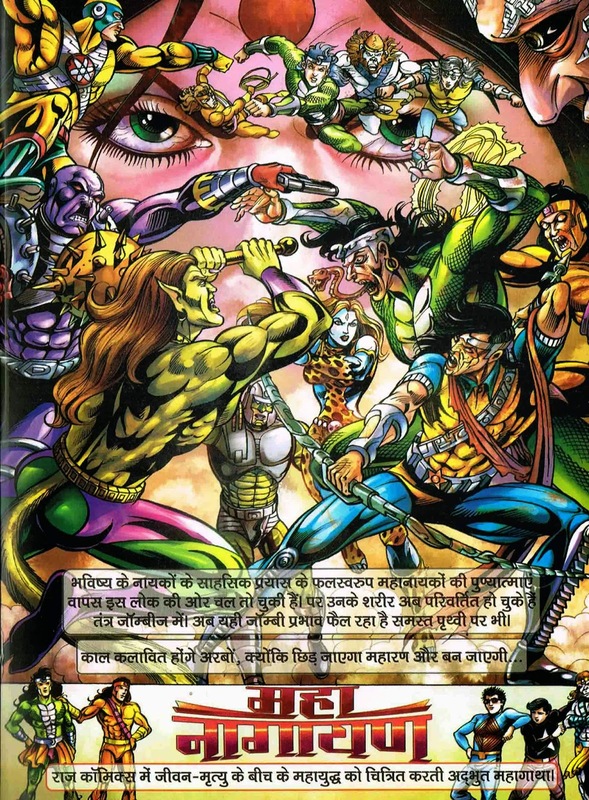 Ad Page from Rajnagar Reloaded the fourth part of Rajnagar Rakshak Series. By: Hemant Kumar, Ishwar Arts. 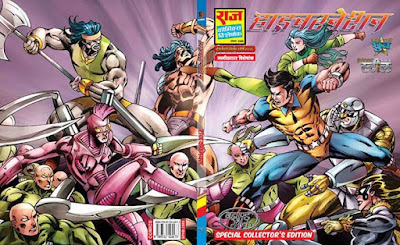 Rajnagar Reboot, The 3rd part of the Rajnagar Rakshak Series. 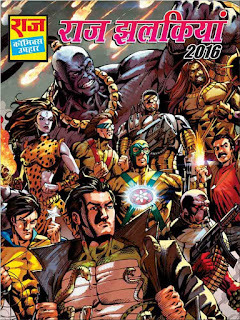 This year on the celebration of Nagraj Janmotsav, Raj Comics Publication will be presented a unique and amazing gift "Raj Jhalkiyan 2016". 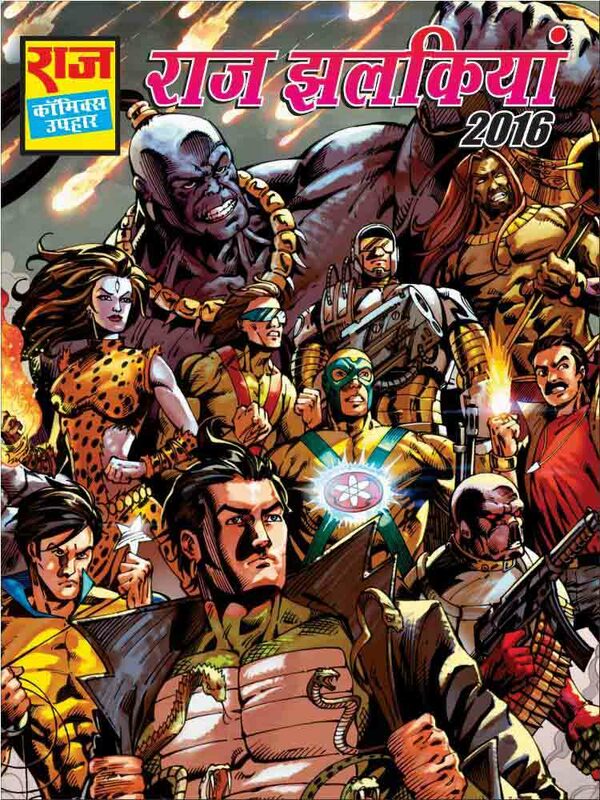 Some of the new comics which will be published in 2016 will highlighted in the booklet. This booklet will be given as a gift to only those who will attend "Nagaraj birthday in 2015". क्या होगा अंजाम जब टकराएँगे कानून के दो रखवाले और राजनगर के दोनों रक्षक? 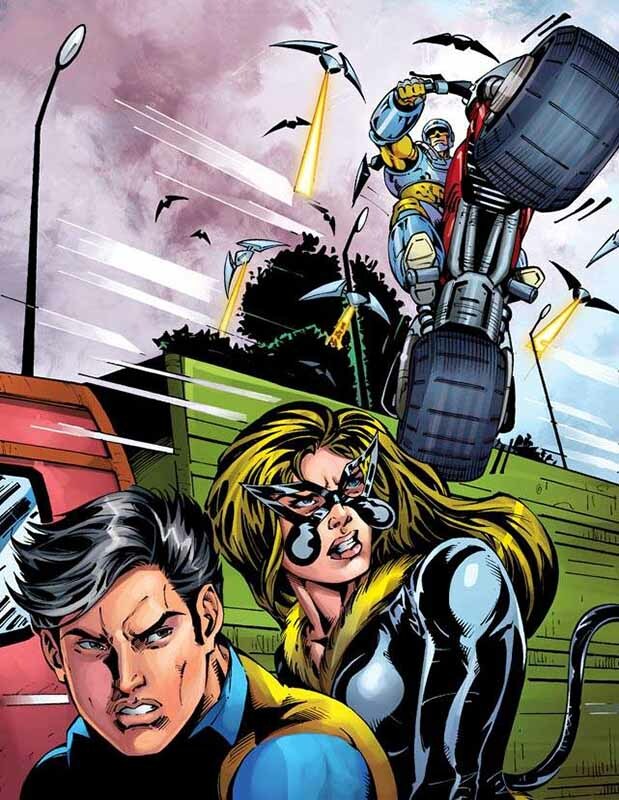 A deadly clash is going to be in between Super Commando Dhruv and Inspector Steel. 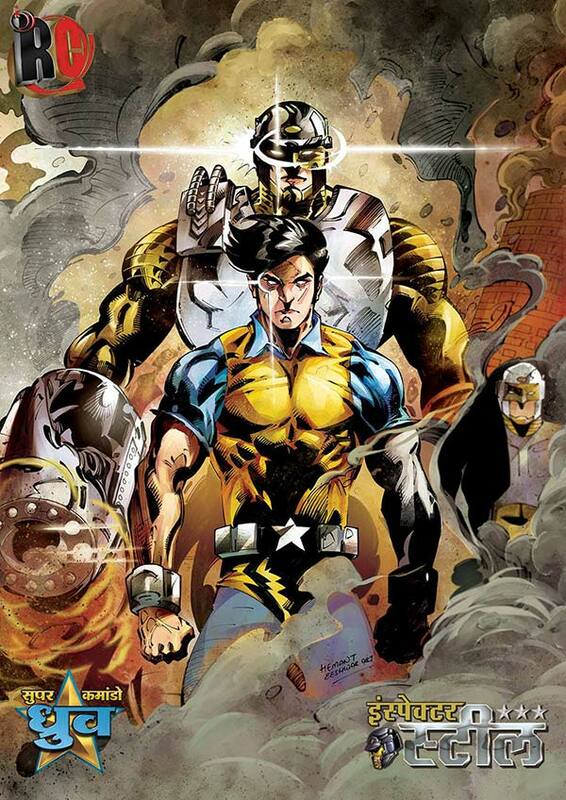 What will be the outcome of the collision between these two protectors of Rajnagar? 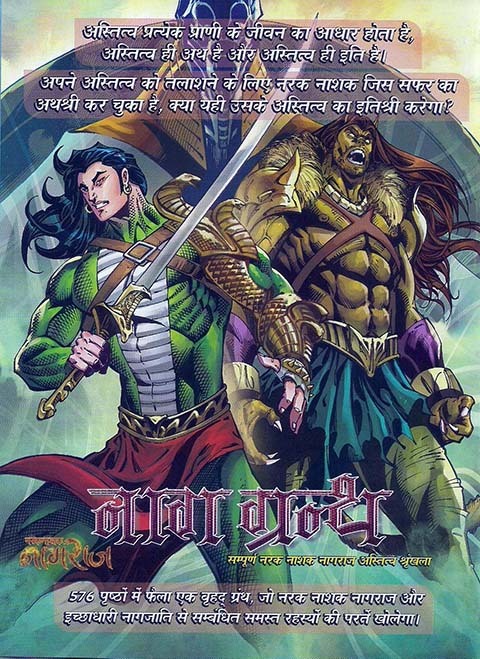 Title Cover of Rajnagar Reboot (Rajnagar Rakshak Series). क्या रिश्तों के कच्चे धागे रोक पाएंगे विनाश के बढ़ते कदम? 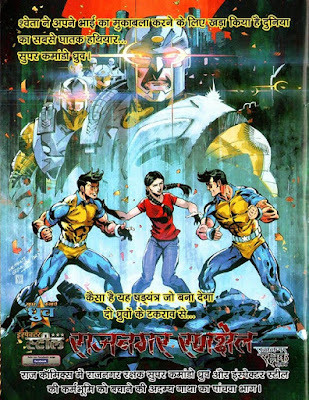 अपने अस्तित्व को तलाशने के लिए नरक नाशक जिस सफर का अथश्री कर चूका है, क्या यही उसके अस्तित्व का इतिश्री करेगा? 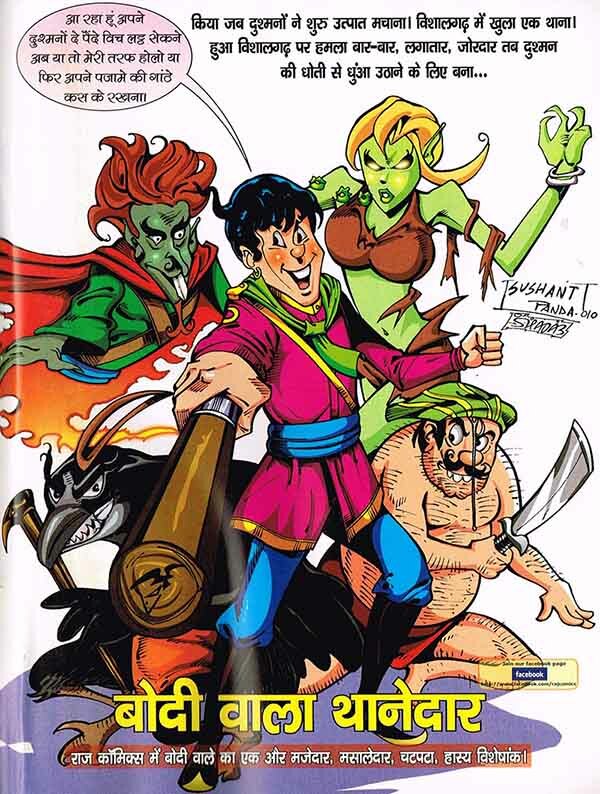 Special Collector Edition of Avshesh, Chunouti and Hedron. 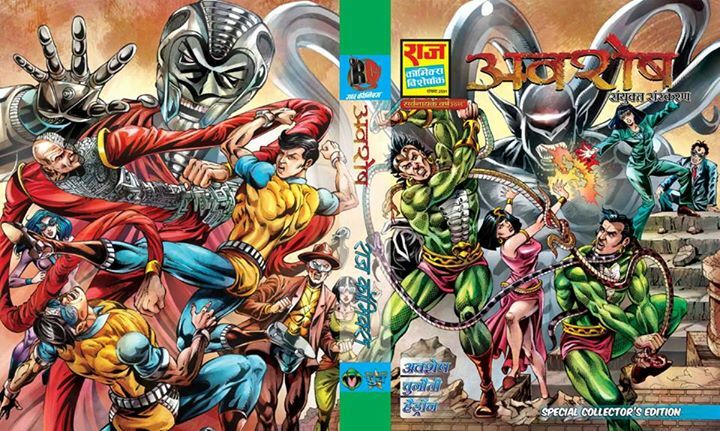 राजनगर के दो अदम्य रक्षक जूझ रहे हैं उन रिश्तों से जिनकी डोर किसी साजिश का जाल बनकर जकड रही है उनकी कर्मभूमि को. 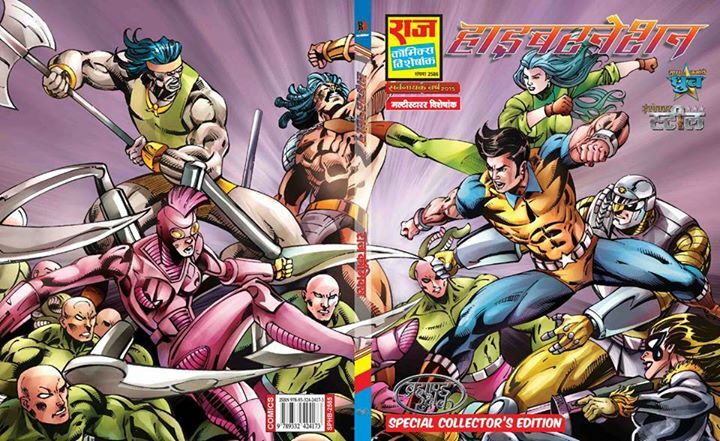 Next part of "Rajnagar Rakshak". 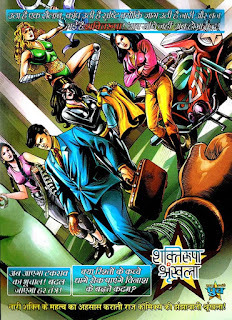 Now the responsibility of protection and authority of Raj Nagar is in women hands . 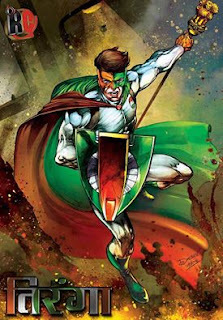 Super Commando Dhruv will exit now and "Shaktirupa" will take place. 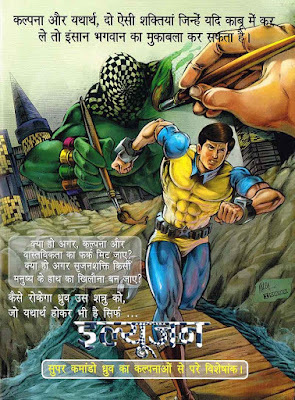 After Balchrit series a new challenge for Dhruv is about to begin in "Shaktirupa Series" by Anupam Sinha. 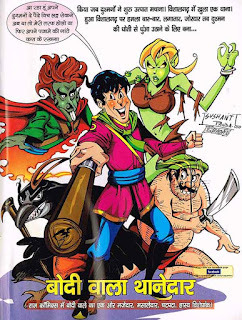 The Artists of this advertising page: Anupam Sinha, Vinod Kumar, Ishan Trivedi. Shaktiropa Series will be start after completing Balchrit series. 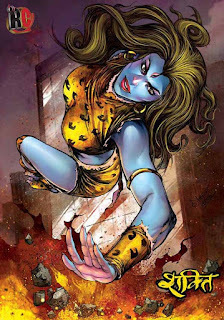 Kaaljayi Force has been coming to destruct Bhediya and the entire Mankind. 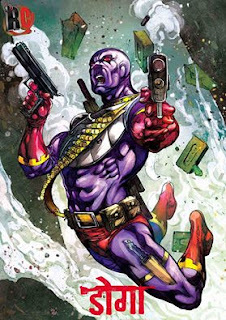 You may get a blood bath for purification. 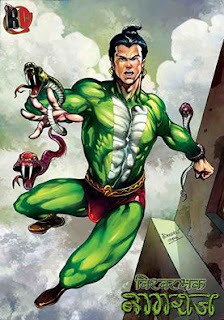 The Executioner of the Jungle. सुपर कमांडो ध्रुव के जीवन में तूफानी उथलपुथल मचाने आ गया है उसका बालचरित! क्या अब क्राइम फाइटिंग को भी त्यागना होगा उसे? Next part of "Flashback" and the 3rd part of "Balcharit Series". And may be its the Final one. 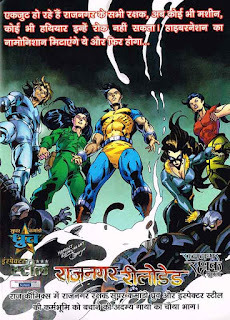 बांके अब राजा विक्रम सिंह को पढ़वाएगा जूते, डंडे, गोबर के कंडे और सडे अंडे. Same here Deepu, and not only you and me but many other RC fans are also waiting for all these comic series. Hope these comic series will be released soon and you would get rid of foreign superheroes. 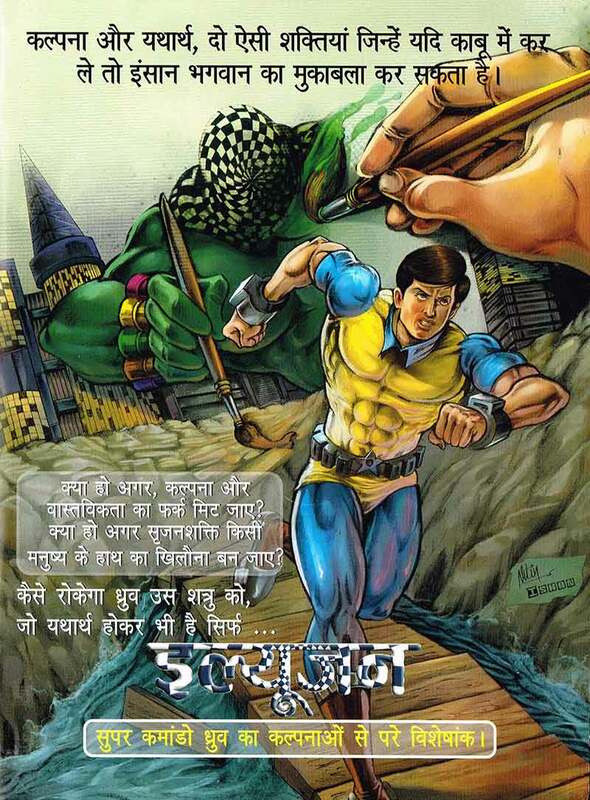 hum kewal ek hi kaam kar sakte hain or wah hai 'umeed karna'. 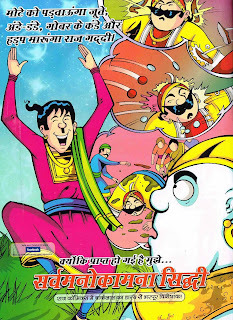 2016 ka set 3 market mein release ho gaya hai. Internet pe uska koi update nahi hai. Na FB par aur na hi unki website par. Kuchh gadbad chal rahi hai lagta hai.